What goes up…might come down? You might remember that at the end of last year, I took on the help from a Personal Trainer Ross Jackson from Lean Machine PT (http://www.leanmachinept.co.uk/). 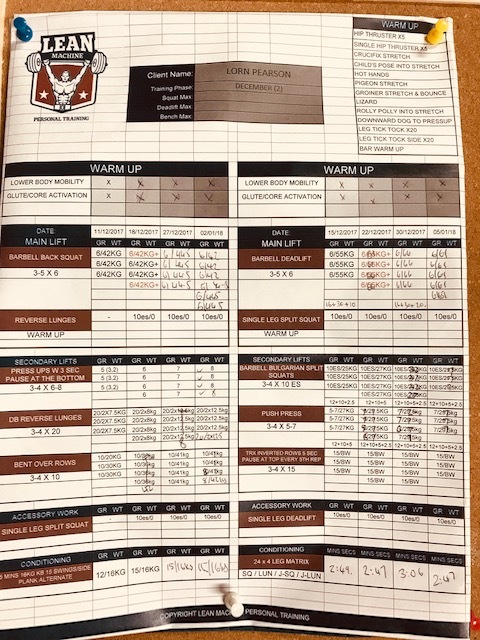 I’ve worked with him before, and although he probably works more with guys in strength training, he knows his stuff and I enjoy working with him. 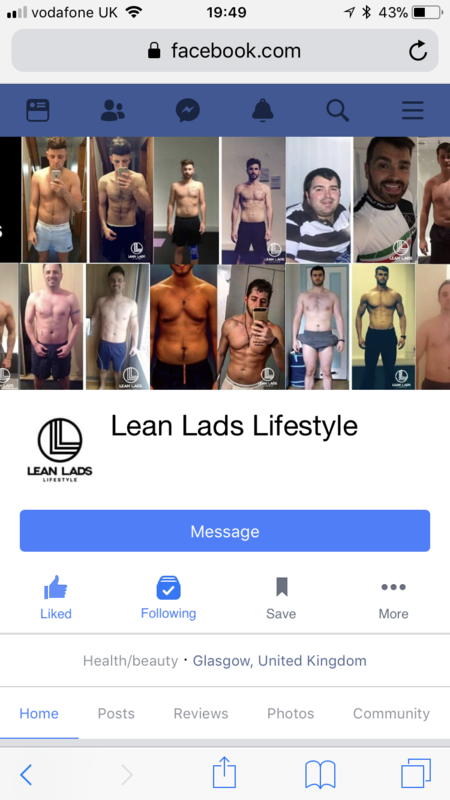 He’s made me an honorary ‘Lean Lad’ on his Lean Lads Facebook page too… it has some good recipes, results and workouts on it. I’ve strength trained twice a week consistently, and kept my running ticking over too. I also ate what I wanted, and possibly had more calories than I normally would have (over Christmas etc). 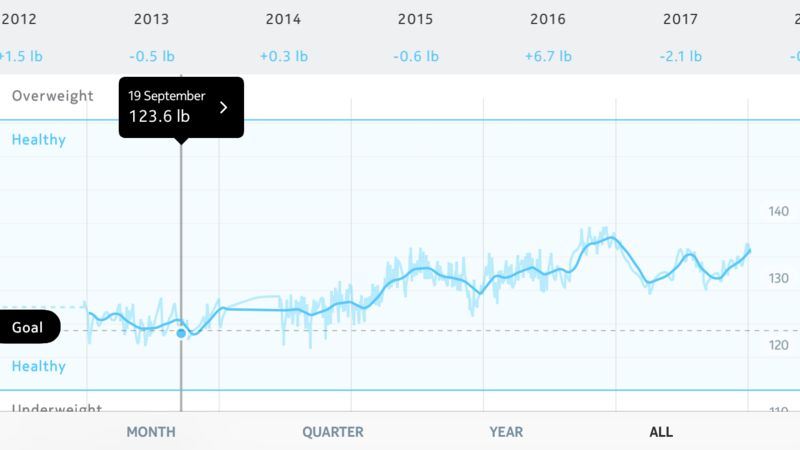 8 weeks later at the end of December… and I’d put on 6lbs!! 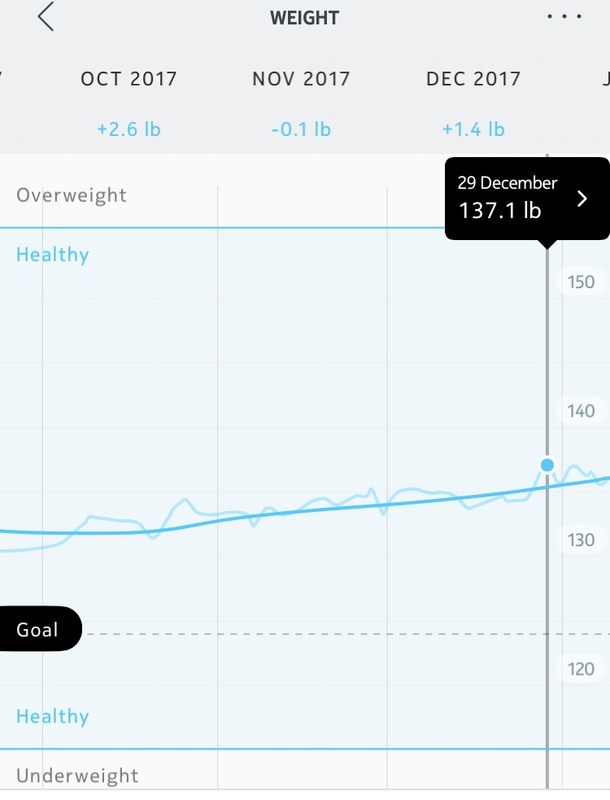 But contrary to what i might have expected (time of the year and all Nov into January)… it’s not all Christmas weight! Yahoo. 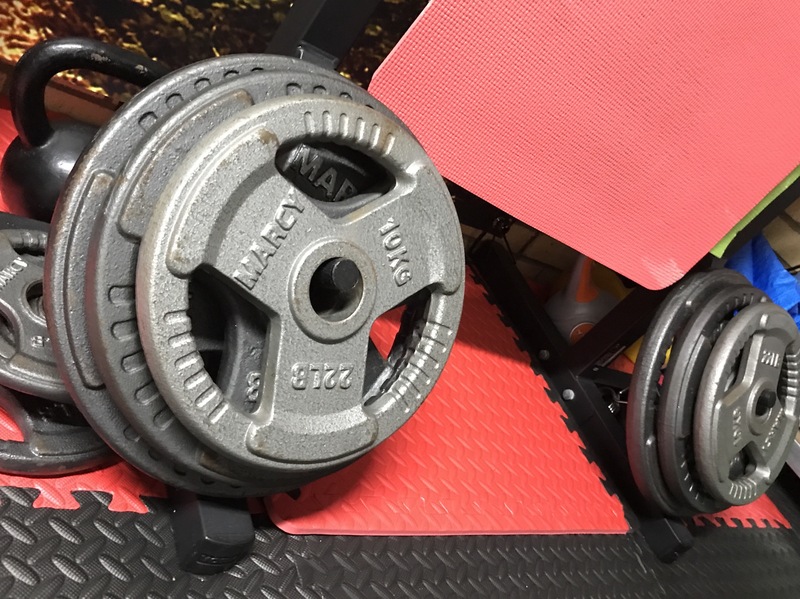 It seems that the consistent training and a surplus in calories has allowed my body to do what I didn’t think it could do (as I’ve never been able to) – add lean mass! 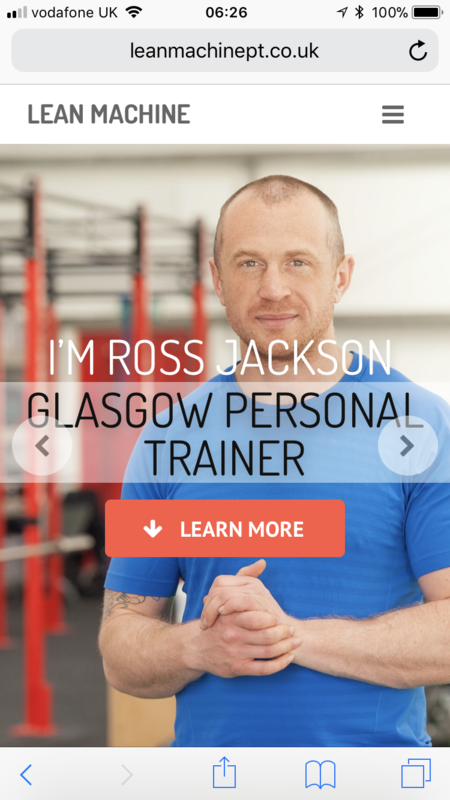 So I figured if I invested in a programme and some sessions with Ross, it’d focus me to strength train more regularly. And it worked. Any changes in body composition / weight would be an outcome, but I wasn’t being restrictive in anyway with what I ate / consumed. 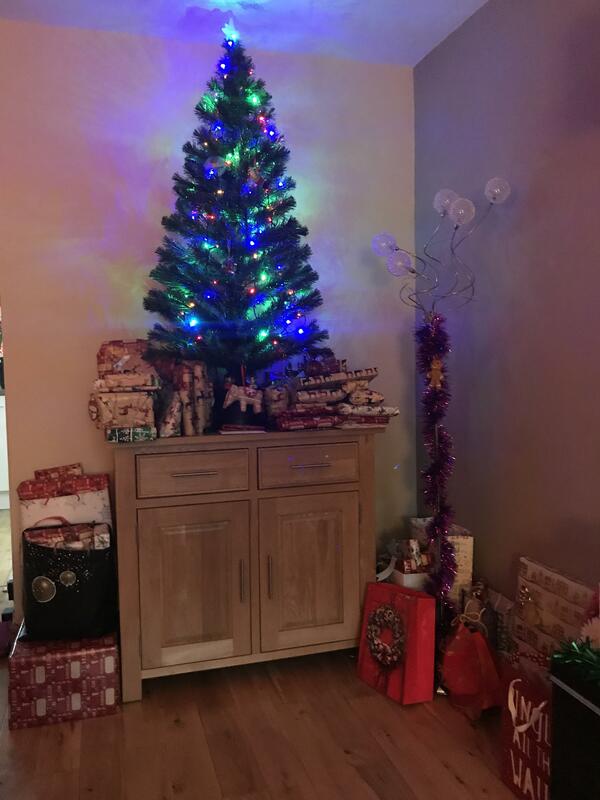 It’s Winter / Christmas after all. I are what I wanted and had full fat coke when I wanted too (sshhhhh). I started with Ross mid November, and did two rounds of 4 weeks of training – November & December. I had PT sessions with him twice in each 4 week block, and he really helped to push me and give me tips on how I can improve with the exercises he gave me (ie squats deadlifts Press Ups). 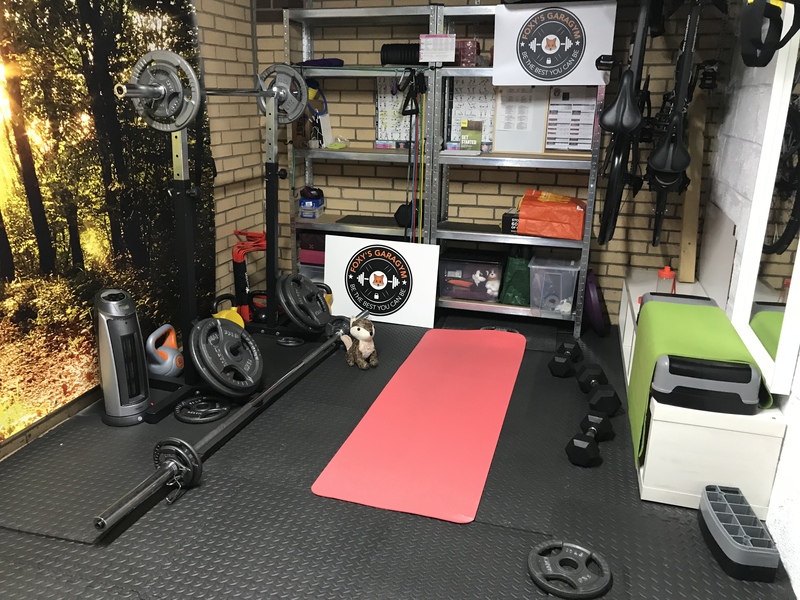 I’d spent October running and building up to strength work with high intensity bodyweight / Tabata workouts on my own, once a week, then from mid November I worked with Ross. (I have withings WiFi scales which measure weight, body fat, muscle and water). – kept my body fat lbs at the same. My weight and lean body mass has increased by 6.2lbs, (which I’m actually a little astonished by). I didn’t think us women (me) could do this, but clearly the right sort of activity/training and intake (eating a lot) can make it happen. 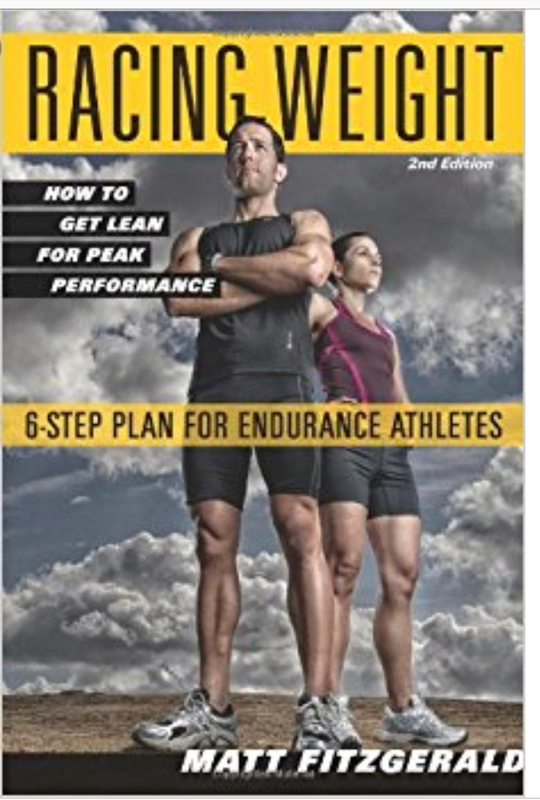 To be more specific: Racing Weight. … What goes up… can come down… right? 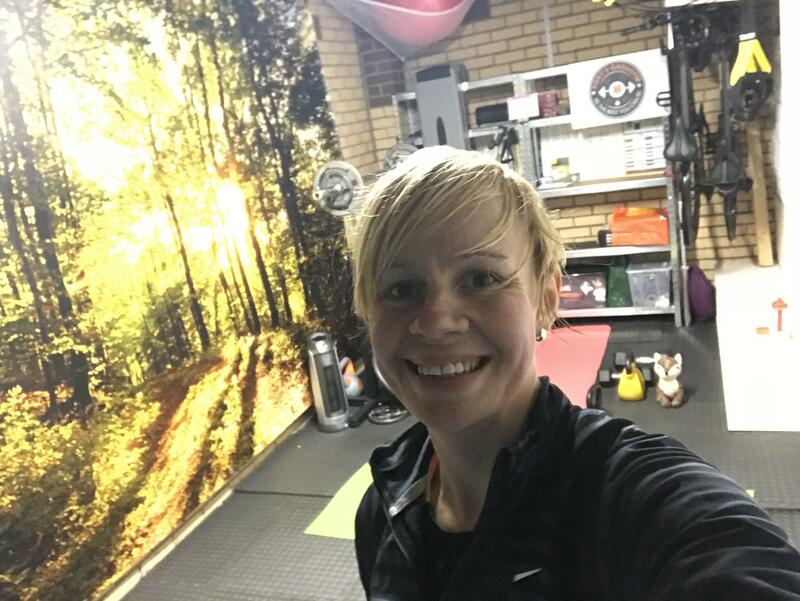 To run a marathon, which I’ll be doing in 15 weeks time in London in April… ideally you want to be as light (trained, fit and strong) as you can be so that you’re able to run more efficiently. Or so that you can run as fast as possible, carrying the least amount of weight. 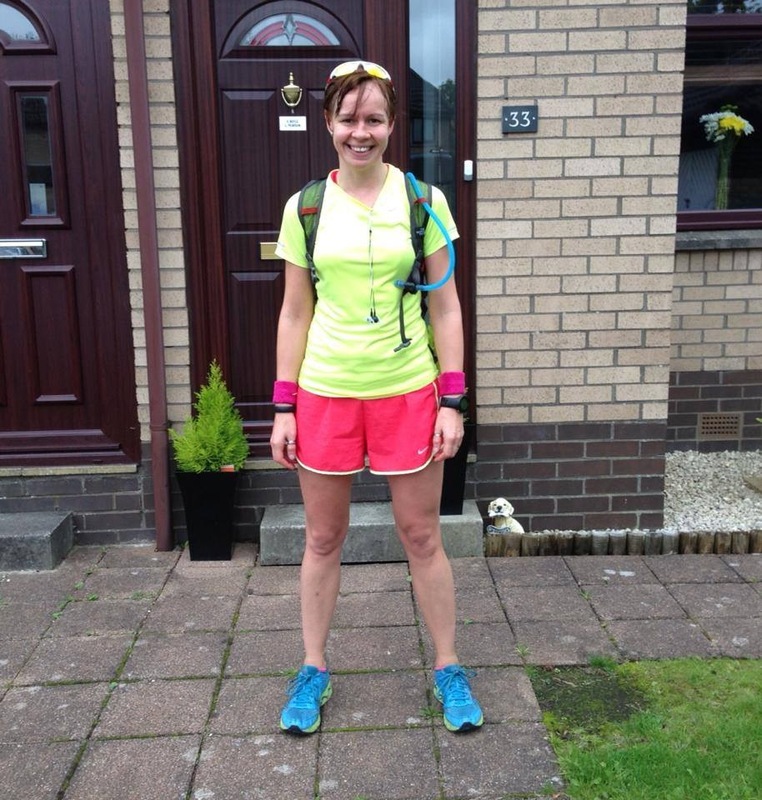 When I ran my PB in 2013, I was about 124lbs – nearly a stone lighter than I am now. Imagine how much easier it would have been to run with a stone less of weight? 14lbs / 6.5kg. If I run with my heart rate at 165 for a marathon… if I’m carrying 14lbs less, I should run faster, than if I’m 14lbs heavier (ie now). When I did my 3:28 marathon PB I said I’d never push it that hard again… and I won’t. But I’d like to get to my peak for this years London marathon and see what will happen (training / energy / recovery / Racing weight). 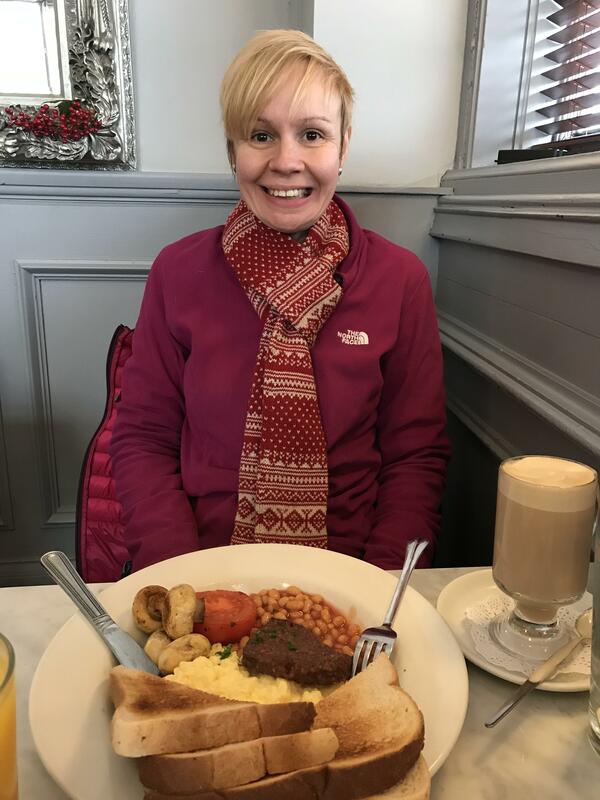 I’ve lost weight before – mainly through exercising a lot, not drinking (alcohol) and being a bit better with my food choices – creating a calorie deficit consistently. In 2008 I went from 147lbs to 135lbs in about 6 months (more activity – better or less calories). Then marathon training and another year took off about another 12lbs. But I probably wasn’t as strong then, as I am now. 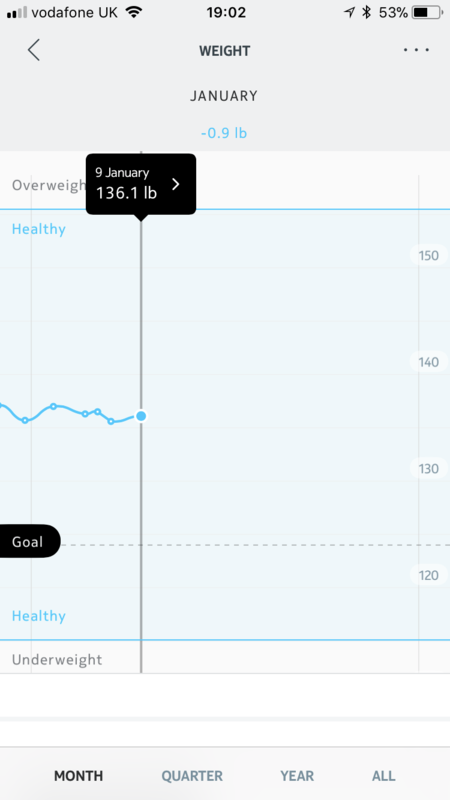 And if I don’t lose weight as planned – no biggie, but it’ll be interesting to see what the changes I make (in activity and intake) result in. I’m fit and healthy and happy and that’s what’s most important to me. 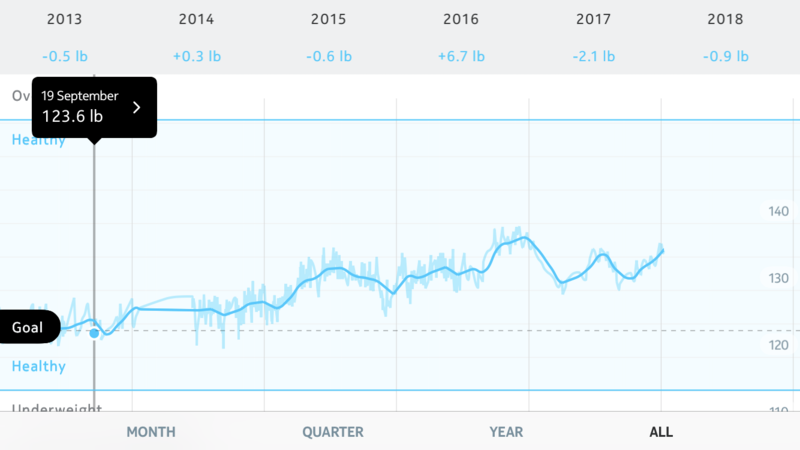 Here’s been my weight since 2013… up down up down up down… the ups have usually been when I’ve changed what I do (ie less running Winter 2016, or more regular strength training in Winter 2017). I wonder if I’ll be able to get it to go back down again? (Below is me in the Summer of 2012 I think / 120-124lbs). But one thing that’s important is that I keep the strength I’ve built up already. – I’ve gone from doing Press Ups on my knees to being able to do 3×15 full Press Ups. – I’ve increased my squat weight to 45kg. – I’ve been doing single leg work (single deadlifts / reverse lunges / single leg squats) to help my strength in running. The other day he had me doing pause squats and as many squats as I could manage (x22 with 40kg). Then he had me carrying a 15kg barbell straight above my head in a weighted carry for 3 minutes! 😳My back feels very strong after all of that! 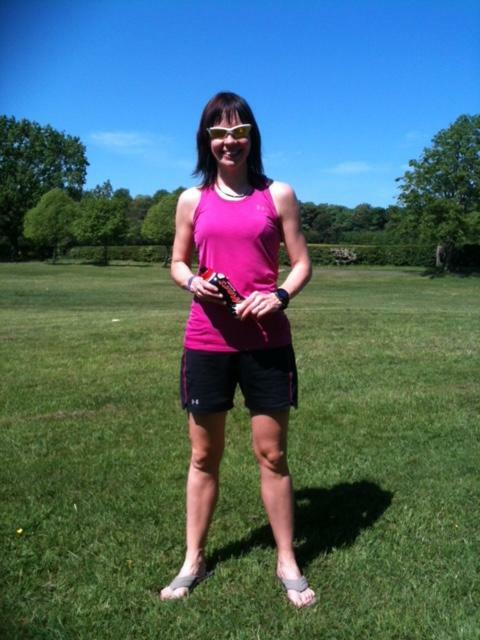 2-124lbs by the London marathon on 22 April. se myfitnesspal to track calories to start off with, then see if I can get into a routine of eating enough, but not too much to promote weight loss but still enough energy and protein for fuelling and recovery. ot go into too much detail, but in the last week I’ve managed a calorie deficit of around 400 calories a day on average. I’m eating plenty, but exercise is offsetting what I eat. 3 Responses to What goes up…might come down? Hi Susan. I’m following a version which I’ve tweaked from the Runners World Run Less Run Faster plan, but it asks for big mileage in the long runs.